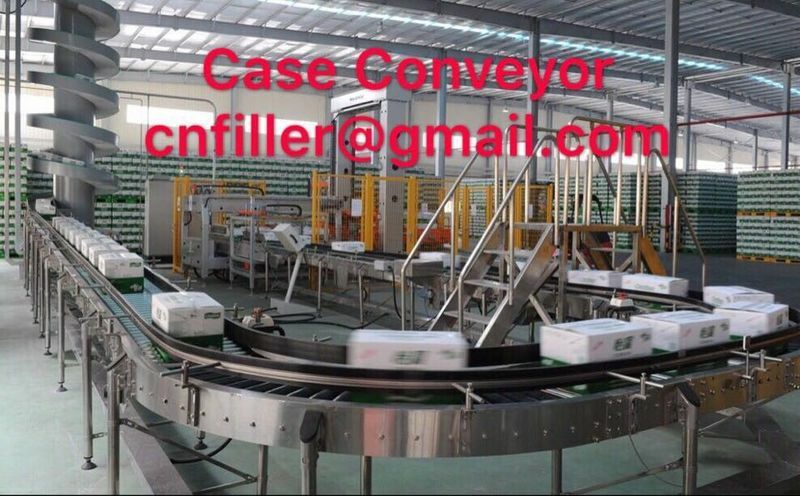 The speed capacity efficiency is related to the conveyor collocation .It’s a must to consider the temporary stop (such as: Label change) which should not affect the previous section running and also the coordination with the left part. Our production line layout fully considers the client investment and using efficiency. It brings in the German technique and developed the design. Most of the parts adopts the punching and bending , which has good rigidity , lighter and easier exchange .Stable transportation ,easy maintenance ,applicable for diameterφ40～φ96 mm bottle It’s equipped with full bottle sensor in each section, All the section are linkage control. which meets the demand for the trace. 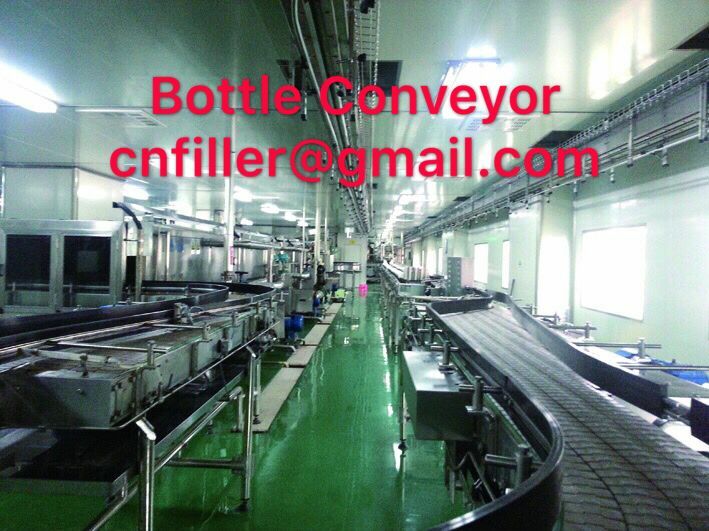 1) Stable conveying, using synchronous chasing control between the conveying belt and engine, making bottles in good condition in the conveying: non-falling, non-block, non-jam. 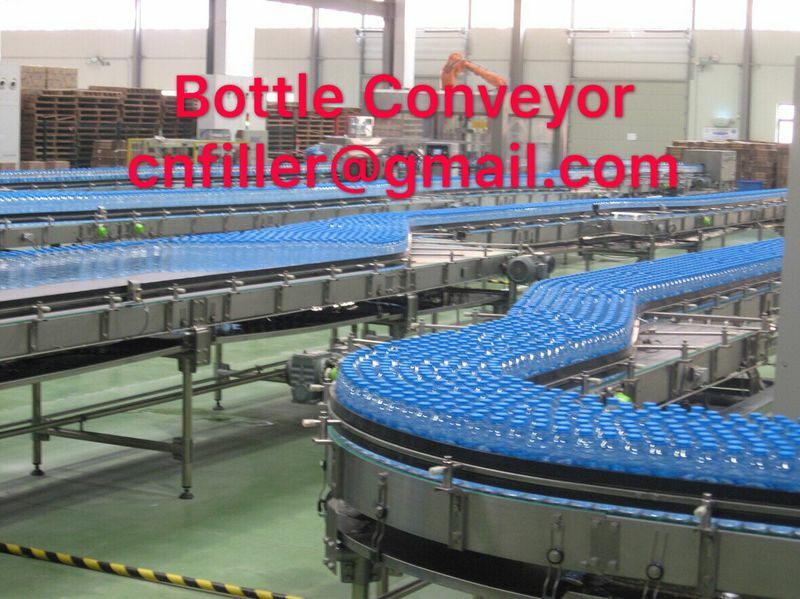 2) Conveying belt is designed by module, component can be interchanged easily, compact structure, little noise, easy assembling and maintenance, have flexibility to combine the bottle type according to the different capacity. 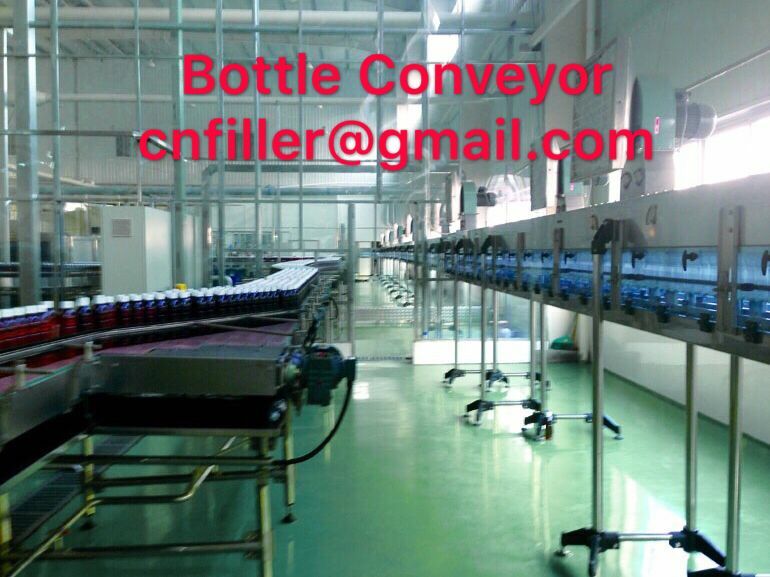 4) Bottle protection rail should be fixed according to the demand , fix the bending point as well according to theory and real bottle out speed change(geometric proportion increase or reduce ).While set the synchronized control between conveyor and motor to avoid the falling ,jam and block. 6) It adopts SUS304 stainless steel; the conveyor rank adopts two foot support; protection rack uses the stainless steel. 7) Main electrical component are OMRON, MITSUBISHI and etc.